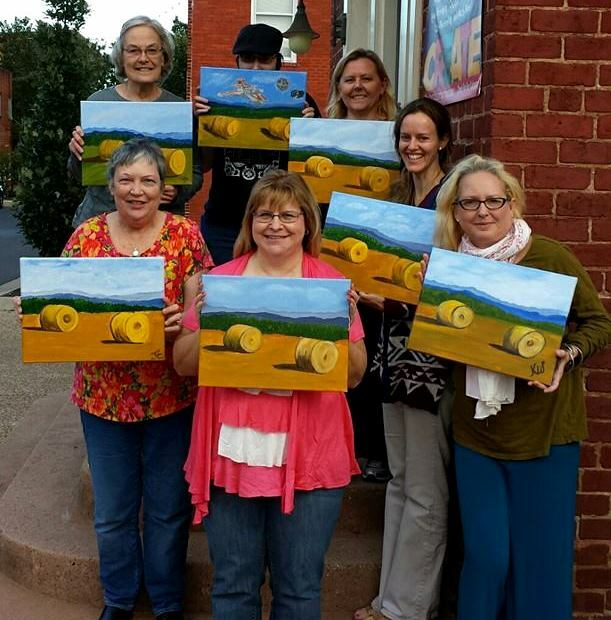 Shenandoah Valley | "A Place for Learning"
Yesterday was a busy day at The Studio. First the VIA students painted a beautiful mountain landscape scene that will make a wonderful memory of their time in the Shenandoah Valley. They’ll be leaving soon to go home for the summer and then back to their boarding schools. They’ve been a wonderful group. Then the weekly Kid’s class painted the same scene. It will make a terrific Mother’s Day gift! We get some of the most beautiful sunsets over the Shenandoah Valley. We are so lucky to live in such gorgeous place. It gives us a wealth of painting material. This one is for everyone. Everyone can do it. And we will be painting it on Thursday, May 17th at 6 pm at The Studio. Come join us for this one. You can click here to register. 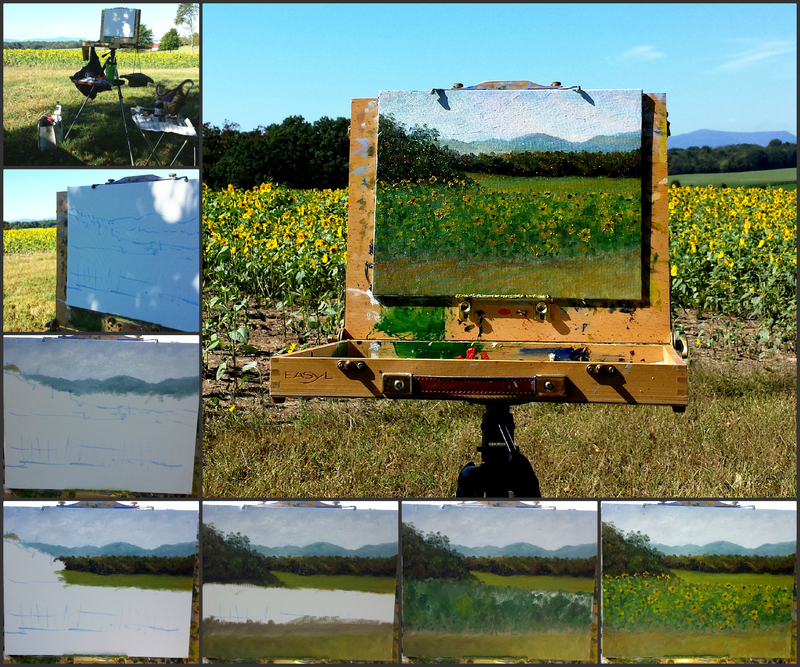 Sometimes a last minute drive up in the Shenandoah National Park produces some terrific painting ideas. This is one from late yesterday afternoon. 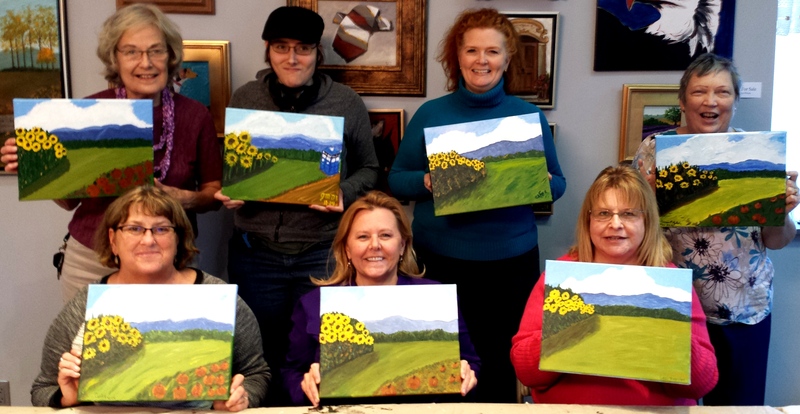 We painted beautiful Sunflower Scenes -and some with Pumpkins- at the 1st Saturday Paint Party yesterday at The Studio. And what a fun-loving group! Thanks everyone and excellent job!!! 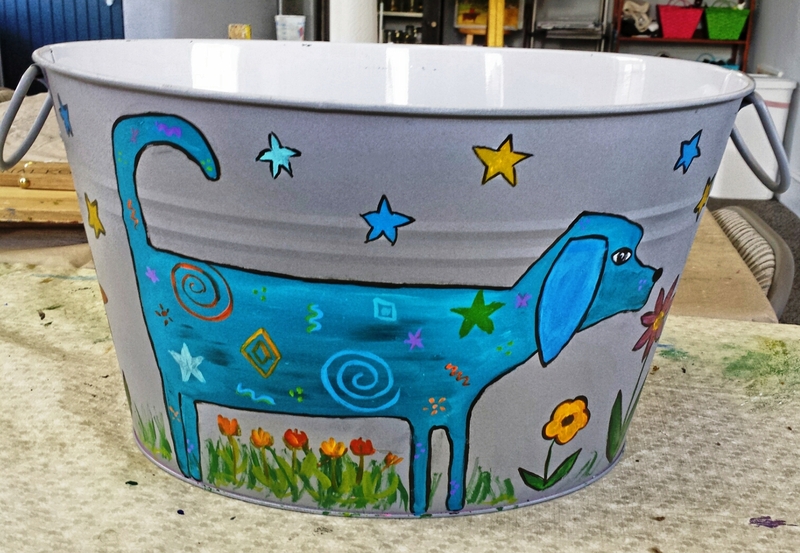 If you missed this one you can join us today (Sunday) at 4 pm for a special Paint Party where we will be painting buckets and trays. Why not join us? !